Carmen Hamilton of Chronicles of Her has just swooped in and made party dressing cool again, by teaming up with Hansen and Gretel on a six-piece capsule collection. Party dressing gets a lot of air time around the holiday season, but really it's about taking pieces you'd normally wear, and finding a new way to add some sparkle. You know, for those festive, fun vibes. The Hansen and Gretel capsule collection is the first in a new section on Chronicles of Her, called SHOP, which will feature small limited-edition collections (next up is jewellery). The thinking behind Carmen's first capsule collection, is very true to her personal style. Speaking to Who What Wear Australia via email, Hamilton explained "My NYE outfit mantra is always 'party up top, practical down the bottom'. I'll most likely be wearing the Bloody Mary Dress with colourful gemstone earrings and my Prada Cloudbust sneakers. Beauty wise, glowing skin and a matte red lip are my go-to's for a long night out. I get my lashes done in the lead up (half set, just a little longer than my natural lashes) so I don't have to wear any eye makeup. 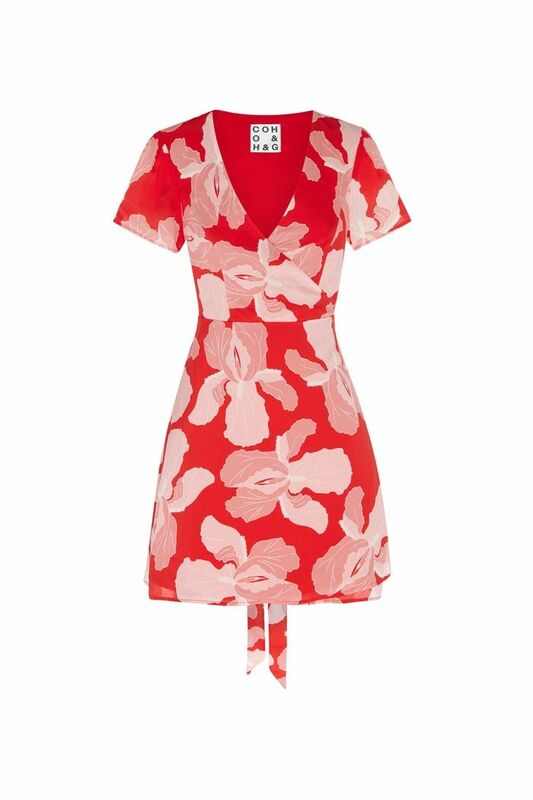 On NYD, you'll find me in the red Margarita dress, rose-tinted glasses, sneakers and a margarita in hand!" Her casual approach to dressing for this time of year is what makes this collection feel so approachable and wearable. Style one of the tops with your favourite worn-in vintage jeans, or add white sneakers and OTT jewellery to one of the dresses. Has party dressing ever been easier? No. We've pulled our three key pieces from the collection, so you can shop those first, below.